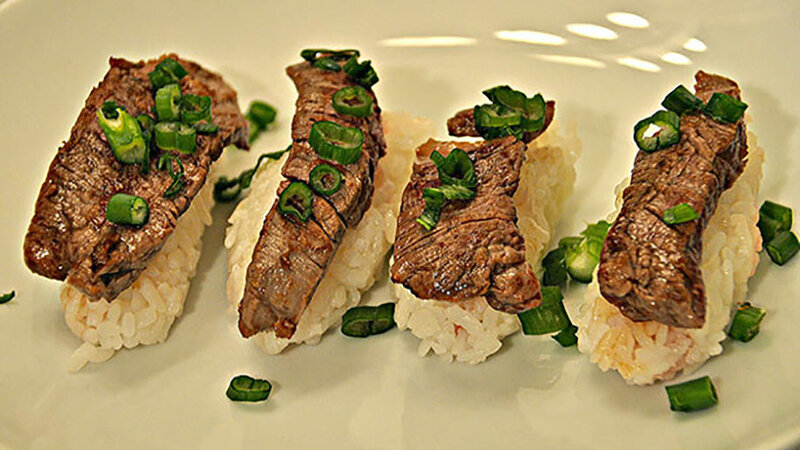 Impress your guests with this venison-inspired sushi recipe from Gregg Ritz, Hunt Masters on Outdoor Channel. 1. Prepare sushi rice according to package directions. Mold into 2-inch long by 1-inch high rectangles. 2. Sear 6 thin-sliced strips of venison loin to medium rare. 3. Place venison strips on top of rice. Top with scallions or jalapeño peppers. Sprinkle with soy sauce if desired. Enjoy!